These blank white tags are perfect surfaces to colorize, embellish, and alter! Use on their own or add tags as accent pieces. 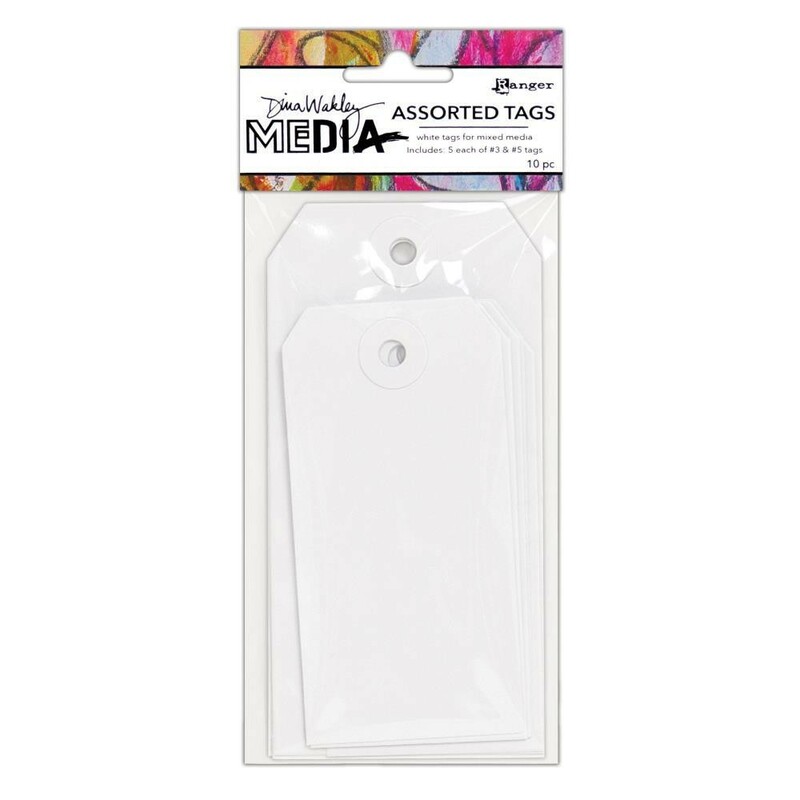 This 2.75x6.5 inch package contains ten tags: five tags that are 1.875x3.75 inches each and five tags that are 2.375x4.75 inches each. Imported.